Japan’s second most popular cellphone provider, KDDI, chose today in Tokyo to unveil the winter handset line-up due to hit its au-branded shops in the next few weeks. While none of the new phones is likely to shake up the market, at least one of them is worth a closer look. 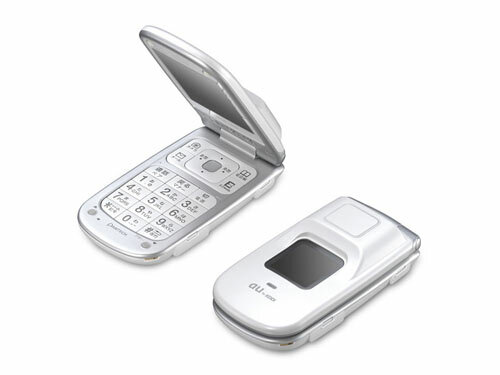 The A1407PT, made for KDDI by Pantech, is a very ordinary 3G handset running on the company’s CDMA 1X network apart, that is, from its earpiece, which is actually a bone-conduction loudspeaker. The principles behind bone conduction are nothing new – simply press the speaker to the head just behind or under the ear and you’ll hear whatever’s coming out of it via sound waves traversing the skull, rather than through the outer ear. Nevertheless, there aren’t many phones that use the technology, as it’s relatively easy for most of us to find a quiet place to hold a conversation if it’s really that important. So far, the only bone-conduction phones launched in Japan have been aimed at workers in niche markets, such as building sites, where it really can be difficult to relocate just to answer the phone. As for the rest of the ¥20,000 ($165) handset, the screen is a 2.4in affair, with a 1.3-megapixel camera, 200-minute talk time and 120g weight rounding out a plain-Jane phone that you’d have to really need to consider buying.